The cannabis movement was virtually unstoppable last year. Canada legalized recreational marijuana. President Trump signed the Farm Bill into law, giving the green light to hemp and hemp-based cannabidiol (CBD) production. And a handful of U.S. states legalized weed in some capacity. It was a banner year for the marijuana industry -- but not so much for marijuana stocks, which had an abysmal fourth quarter. However, that's changed in a big way to begin 2019. Through Feb. 7, the Horizons Marijuana Life Sciences ETF, which holds a basket of more than four dozen pot stocks, had risen by just shy of 50% on a year-to-date basis. Rapidly rising share prices, coupled with supply shortages and the ongoing capacity ramp-up throughout Canada, has led to nosebleed valuations throughout the industry. Although most pot stocks won't be profitable on a forward earnings basis, others, such as Cronos Group, are lugging around forward P/E ratios north of 400. But the industry isn't a complete loss. Even following an incredible run over the past five-plus weeks, the following three marijuana stocks still sport valuations that make sense. As has been the case for a long time now, cannabis grower OrganiGram Holdings (NASDAQOTH:OGRMF) continues to offer one of the top value propositions on the basis of forward earnings. Even following an amazing run-up in recent weeks, OrganiGram is valued at a very reasonable 21 times next year's earnings. Considering that sales are forecast to grow by 891% in fiscal 2019 and 87% in fiscal 2020, OrganiGram's low forward P/E ratio is particularly attractive. As the company is based in New Brunswick and focuses on only one grow site, it's easy for Wall Street to overlook OrganiGram. That, of course, is a big mistake. OrganiGram's three-tiered growing system being implemented at its Moncton facility is maximizing the use of its 490,000 square feet of growing space. Whereas most growers are lucky to average about 100 grams per square foot, OrganiGram will more than double that amount, with 113,000 kilograms of peak projected yield -- not to mention that working from a single grow site will help control supply chain costs and improve production and shipping efficiency. The company has also made a concerted effort to expand its product portfolio beyond just dried cannabis. Investors have seen what's happened in states such as Colorado, Washington, and Oregon, where dried flower pricing has plunged on the back of overproduction. This has encouraged growers such as OrganiGram to focus on oils, as well as extraction deals for CBD and hemp-derived CBD. These alternative products almost always carry higher margins, and they're less sensitive to pricing pressures than dried flower. In terms of bang for your buck, OrganiGram is still right around the top of the list for investors, in my opinion. 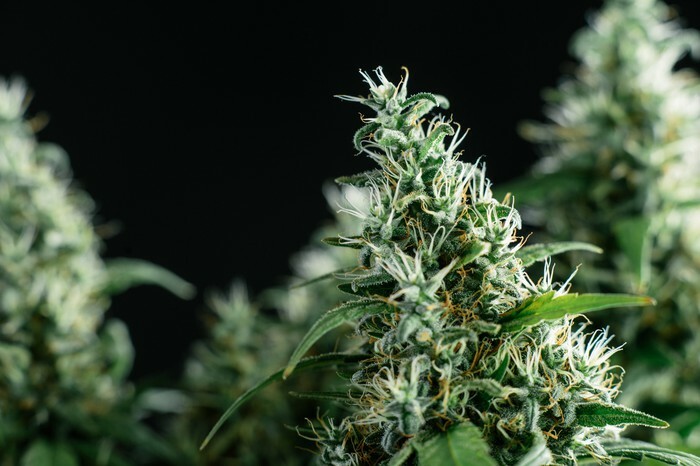 On the other hand, HEXO (NASDAQOTH:HYYDF) is nowhere near as "cheap" on a forward earnings basis as OrganiGram, but it still gets the nod as being reasonably valued because of a key partnership forged in August 2018 with Molson Coors Brewing (NYSE:TAP). A forward P/E of 45 might not seem very reasonable, but with sales expected to grow by roughly 1,400% in fiscal 2019 and another 141% the following year, I'd surmise its PEG ratio is well below 1, which would signal an undervalued company. Note that very few, if any, pot stocks have long-term growth forecasts from Wall Street, so this is merely my own interpretation of what its PEG ratio would be. Much of the excitement surrounding HEXO involves its joint venture with Molson Coors Brewing. The 57.5%-42.5% partnership (Molson has the majority stake) will see the duo research and develop nonalcoholic cannabis-infused beverages. Although most alternative marijuana products aren't yet legal in Canada, lawmakers expect to give new consumption options the green light by this October. That should give Molson Coors and HEXO an opportunity to be among the first companies to get their infused beverages in front of the public. But there's more to like here than just a beverage deal. HEXO is a fringe top-10 producer, with 108,000 kilograms in peak estimated production. It has a large amount of its yield heading to its home province of Quebec, where it signed a five-year deal in April 2018. In total, HEXO will be providing at least 200,000 kilos in aggregate over a five-year period, representing almost 40% of its total production over that span. That should lead to steady cash flow generation and profitability. Following HEXO's move to the New York Stock Exchange American boards last month, it's certainly worth serious consideration from investors. Finally, Auxly Cannabis Group (NASDAQOTH:CBWTF) still appears to have a reasonable valuation, although that's both a function of having just two covering analysts and the fact that the company's stock went virtually nowhere in January while the rest of its peers headed significantly higher. At a forward P/E of just 12, Auxly Cannabis looks to be the cheapest of all marijuana stocks, but in all fairness, the two existing Wall Street profit estimates are pretty far apart from one another. Until early last year, Auxly was primarily positioned to be a royalty investment company in the cannabis space. It would raise capital by selling common stock and then issue this cash to an array of growers so they could expand their capacity. In return, Auxly would receive a fixed percentage of production at a below-market rate. It could then turn around and sell this crop at the market rate and pocket the difference as profit. That sounded great on paper, but it didn't give Auxly a lot of flexibility if dried cannabis flower prices dropped significantly. Thus, it expanded its operations. The Auxly of today looks much different. 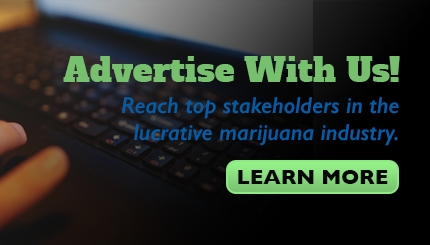 It has upstream licensed and wholly owned growing operations, value-added midstream operations that are primarily focused on alternative pot products, and downstream retail operations. All told, Auxly could get its hands on 170,000 kilos of production annually, be it grown by the company or provided by its more than one dozen licensed partners, by 2021. With the understanding that share issuances could hurt shareholder value, Auxly is a bit riskier than OrganiGram or HEXO, but it's nevertheless worth a look.